Polaroid has announced the newest addition to the instant camera range, with the Z2300 landing with an integrated inkless ZINK technology printer, allowing users to print their snaps instantly. With a 10-megapixel image sensor and the capability to produce full colour 2 x 3-inch prints in under a minute, the Z2300 is perfect for instant photography enthusiasts who enjoy the benefits of digital output options. Inspired by the Instagram loving Social Media addicts of today's society, the Z2300 offers instant digital sharing options along with other fun and easy-to-use features. Sporting a 3.0” LCD display, making it easy to review, edit and frame images before printing the pocket snapper is also capable of recording video with integrated speakers enabling instant playback. SD card storage allows for quick transfer options. “Polaroid invented instant photography, and for the past 75 years the brand has been synonymous with instant gratification, ease-of-use and fun,” said Graeme Chapman, MD of Polaroid's sole UK imaging licensee C&A Marketing. Available in black or white, the Polaroid Z2300 is due to be released in August for the recommended retail price of £129.99. For now, you can pre-order the social media machine from Polaroid.co.uk until the end of July. 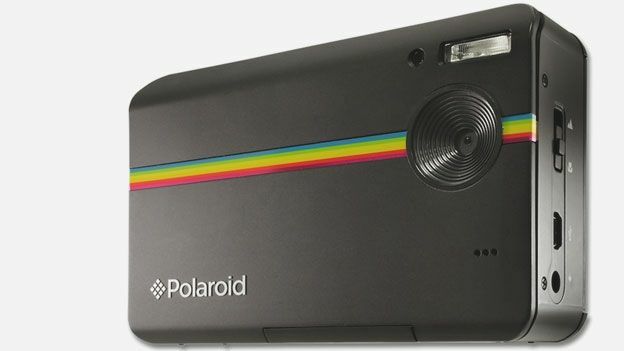 What do you make of Polaroid's latest instant camera option, quirky gimmick or viable option? Let us know via the T3 Twitter and Facebook feeds.